Faithful. Scholarly. Skillful. Courageous. Ambitious. 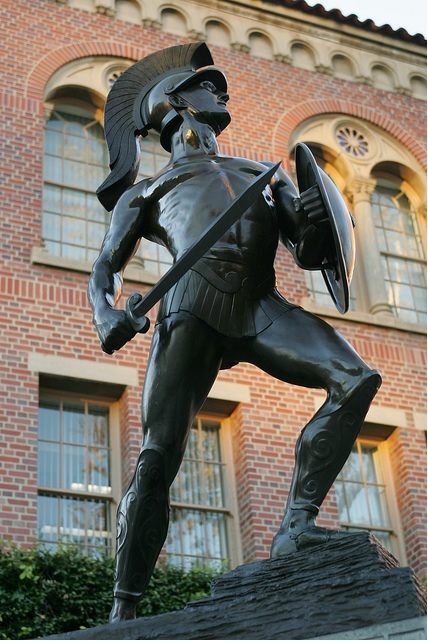 These five words, inscribed on the base of Tommy Trojan — the iconic statue in the center of campus — are as true of USC today as they were in 1930 when the statue was unveiled and they exemplify the type of students USC Bovard College aims to attract and the type of education we provide. USC Bovard College graduate programs are designed to provide professionals with specialized knowledge and skills to advance their careers in a student-centered and supportive learning environment. Our graduate programs include an MS in Human Resource Management and an MS in Project Management, which were designed by some of the most influential minds in their respective professions. Founded in 2015, the USC Bovard College is proudly named after Emma Bovard, one of the first students to enroll at USC in 1880 and an early advocate for equal access to quality educational opportunities. In addition to providing rigorous graduate programs for professionals in flexible, convenient formats, USC Bovard College supports individuals during key academic and career transitions through programs such as USC Summer Programs and USC Bovard Scholars. To see our MS in Human Resource Management faculty, click here. To see our MS in Project Management faculty, click here. Bachelor's degree, or equivalent, from a regionally accredited college or university. Normally a cumulative undergraduate GPA of at least 3.0 (based on a 4.0 grading scale) or documented professional-level achievement. For international applicants, a valid score on the Test of English as a Foreign Language (TOEFL), International English Language Testing System (IELTS) or Pearson Test of English (PTE). For international applicants, official Test of English as a Foreign Language (TOEFL), International English Language Testing System (IELTS) or Pearson Test of English (PTE) score report. For applicants that do not meet the undergraduate GPA requirements, and/or do not have at least two years of work experience, we require submission of at least two professional letters of recommendation. Academic letters are acceptable for applicants with limited professional experience. USC Bovard College completes a comprehensive review of all applications. We do not use a formula. Successful applicants will have demonstrated academic and/or professional success.